Benefits of Vegetarianism That’ll Make You Love Veggies! Benefits of Vegetarianism That Will Make You A Veggie Lover! There are several benefits of vegetarianism which have proven this is one of the most excellent ways we can keep our health on point. Ranging from a better quality of life to more sustainable use of ecological resources, the benefits of vegetarianism proof this practice is here to stay. So, check out some of the benefits of vegetarianism that will make you go prepare yourself a veggie smoothie right away! Vegetarianism is one of the healthiest ways of battling high (and dangerous) cholesterol. Because it lacks the greasy meat! Healthier heart! It’s been proven that meat products, dairy, and other animal-related products are among the causes of the increase in coronary diseases. Due to this, it will help you keep your heart healthy! It will help you with weight-loss and lower blood sugar. This is crucial to diabetes patients that need to check their blood sugar regularly to keep it under control. Also, you’ll be full of energy! 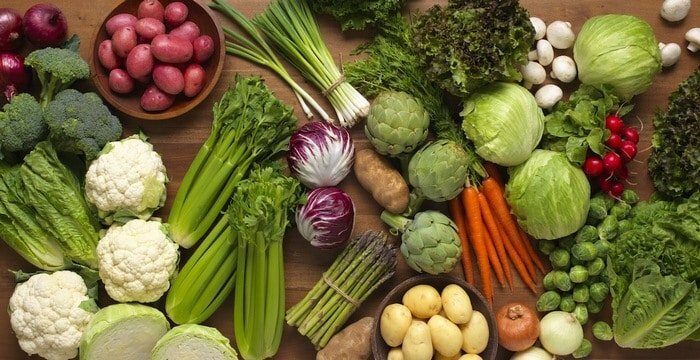 Because vegetables are naturally packed with essential oligoelements, which are minerals your body needs to have to function, your energy levels will rise. This improves performance on students, athletes, and everyone else! You’ll save a lot of money on health care! Because, of course, you’ll be busy being healthy. You will love the taste! Because we’re a meat-oriented society, we think meat has the most excellent flavor we can get to taste. In contrast, most of the vegetables have been seen as a compliment to flavor in meals but is actually veggies that provide a large part of the so-called “umami” our foods have. This is what makes us like food! Besides, doesn’t this look delicious to you? You will have a longer life! Due to the negative side of meat, the lifespan of vegetarians is 3.6 years longer than the casual meat-eater. So, bye-bye meat! Vegetarianism can save the world. We’re not kidding! Because most of the pollution in the world is caused by meat-producing factories all-around the world. This is one of the most ignored benefits of vegetarianism. Ready to save yourself, your family, and the world at the same time? Start a plant-based diet and start getting all the benefits of vegetarianism! ← 5 Fool Proof Ways To Make Life Positive?